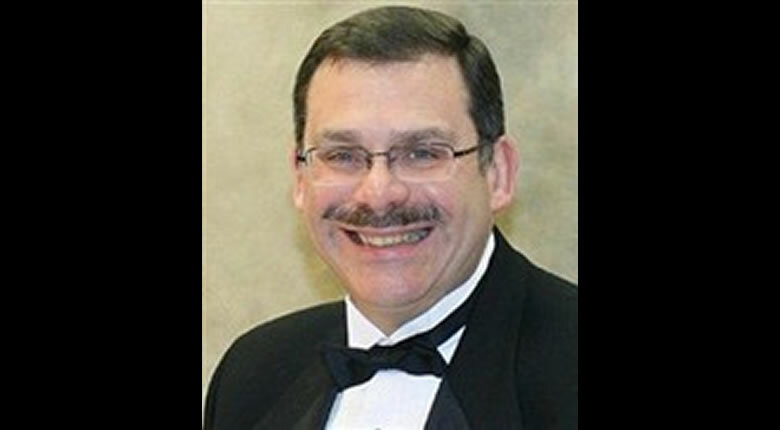 Long-time Michigan resident Jeff Cutter brings his decades of experience in instrumental music programs to educators throughout the country as current national president of the American School Band Directors Association (ASBDA). He is also special services curriculum consultant, K–12, in the Warren Consolidated Schools (Warren, Michigan). Cutter has extensive experience as director of bands and instrumental music in school districts throughout Michigan. Cutter has even held positions in the entertainment department of the Detroit Lions and was a member of the Super Bowl XVI Entertainment Committee. Banddirector.com: Could you tell us about your work with the Frost Curriculum Center? I work with the visual arts, music, drama, health, and physical education teachers in the Warren Consolidated Schools as the department chairman. One part of my duties is working with the various curriculums and budgets and serving as an advocate. Due to the fact that we have more than 15,000 students in 25 buildings, this can be a daunting challenge on a daily basis. BD: What are your goals for your tenure as president of ASBDA? We have been striving to move the organization forward, as per our motto this year, “Full Speed Ahead!” All groups have to continue to grow, re-evaluate, and change with the times. Our new Constitutional Review Committee is going over all aspects of the organization and will be presenting recommendations. In addition, we also have our annual convention coming up at the end of the June in beautiful Colorado Springs, Colorado. ASBDA only officially meets once a year as group, and the national president is the one who presides over the convention. Over the years, I learned that part of being a member of ASBDA is attending the yearly conventions, meeting new people, and touring different parts of our great country. One can really “see the USA with ASBDA,” for our conventions are always in different locations of the country. Because all members of the organization must meet specific criteria in order to be eligible for nomination (musicianship, outstanding teaching abilities, leadership qualities, and the like) and then are elected by the membership of the organization, one has the opportunity to learn so much from many of the finest band directors in the business. During the 1990s, ASBDA rewrote the nationally renowned ASBDA Curriculum Guide, which is used in many university music education courses across the country. This revision was quite extensive and involved integrating the national benchmarks and standards into the curriculum guide. In addition, we have a research committee that is developing a mentoring program for new instrumental music teachers. BD: How did you become involved in musical entertainment for the NFL? In the late 1930s, Graham T. Overgard became director of bands at Wayne State University in Detroit, Michigan, and was the first director of entertainment for the new professional football team in town, the Detroit Lions. About 34 years later, he turned the reins of the Detroit Lions over to one of his former Wayne State students, Harold Arnoldi. When I was a student at Wayne State University, Professor Arnoldi got me involved with the Detroit Lions. After Professor Arnoldi’s retirement, I served as director of entertainment for the Detroit Lions until they moved from the Pontiac Silverdome to the new Ford Field and eventually phased out the entertainment. In addition, Arnoldi also started the Weekend School of Music at Wayne State University for Saturday morning music lessons on piano, guitar, wind, string, and percussion instruments that I’ve been associated with for 28 years. BD: Could you tell us a little bit more about the Weekend School? Since the fall of 1978, we have offered these master class sessions to elementary, middle, and high school students on all band and orchestra instruments, including piano and guitar. Classes are held on Saturday mornings for 50 minutes per week in small groups of eight to twelve students for only five dollars per lesson. After all of these years, we now have students whose parents were students in the program years ago!! BD: What are some of the positive developments you have seen in school bands in recent years? Due to the growth of instrumental music programs over the years, both the enrollment and the musical quality of bands have greatly improved. In addition, brain development research has proven that instrumental music programs are necessary in the curriculum of every school, greatly increasing the brain development of students who are participants in bands, orchestras, and/or choirs. BD: On the other hand, what are some of the negative developments you have seen in bands? When the national and/or local economies decline, sometimes administrators will make poor decisions and “cut part of the music program.” In addition to all of the educational and intrinsic benefits of a music program, there are also various economic benefits-instrumental music instructors always instruct large numbers of students at one time, thus saving money for a school district. BD: What advice would you give a beginning director? In order to succeed, new directors need to seek the advice of seasoned directors who are respected and have fine programs. Every new teacher needs a mentor to seek advice and knowledge from. After four years of university courses, new directors have been instructed in the basics, such as music theory and history, but need to get their feet wet and learn the trade. We are always learning and there’s so much that can be learned from our colleagues in the business. In addition to mentors, banddirector.com and the Internet in general are great resources for band directors all over the world-discussion rooms can often solve the “problems of the world” for everyone-when people feel lost, they can seek assistance from someone in a community miles and miles away!